Arguably Arsenal FC’s two best performing players of the past season parted ways with the gunners in the summer transfer window – one after a lengthy build-up that disrupted the team so much so that the other decided the team wasn’t stable enough to hold him. 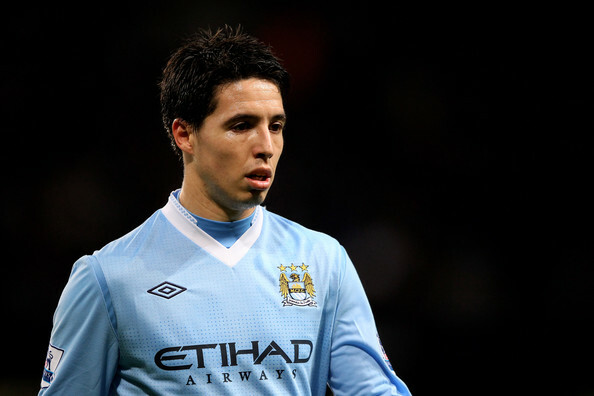 It seemed as though Samir Nasri’s transfer relied predominantly on whether or not the club captain’s own transfer saga had been seen through. Apparently, Nasri could see Arsenal winning a trophy with the Spaniard at the heart, but without him, the team would surely collapse. Well, he may be right about the team’s collapse, but it’s reasonably argued that the team’s early season collapse was a direct result of the both of them leaving the side in tandem. Had only one of the two stars found a new home, Arsenal’s crisis may have been averted. With both gone, Wenger was left to replace them late in the window, offering little time for the incoming players to gel with the young squad left in the wake. But enough about the troubles that their mega transfers have left behind; they’ve had enough time to gel with their new teammates and adjust to their new clubs, let’s look at the fruits those transfers have come to bear. Nasri may well win out in the long run – Man City have the potential to become the league’s next Chelsea…a money-driven newcomer in the top of the table that earns a more permanent spot. Sure, Nasri moved for the money and the better prospect of silverware, but those identical interests didn’t stop Abramovich’s Chelsea from becoming top dog in the Prem. By leaving Arsenal, Nasri has also thrown away the opportunity to lead the team alongside a fit and in form Robin Van Persie, thus becoming a crucial valve in the heart of Arsenal FC. He would have been the go-to man, joint best player on the team. Yes, that comes with the pressure to perform for the team, but also the rewards of being one of the first men praised for the team’s success – one of the first to thrust the trophy skyward, rather than waiting in a long line for the opportunity. Both of these stars no longer have an automatic starting spot. Fabregas knew and accepted this before his move, but Nasri most likely expected to start, though was met with the unpleasant surprise of man city’s real situation. Fabregas’ current form may well be attributed to his happiness back at home. He is on fire, both scoring goals and providing a perfectly acute corner in Barca’s ever-present triangle midfield. Nasri’s form is possibly a reflection of the club – without soul. A mercenary for hire, Nasri doesn’t seem to have the passion required to be at the top of the game. When he does get a chance to start, he seems to be trying to force performances because he knows another merc on the bench is always at his heels ready to replace him. As far as accomplishments go, Fabregas has made his El Clasico starting berth, not to mention snagging a coveted goal tally in the most exciting game of the year. Meanwhile, Nasri once again sat the bench in the crucial match against a Chelsea, who are back to defensively winning ways. In a game where Yaya Toure had finally shown signs that he is a human capable of having a bad day, and where James Milner showed that he wasn’t an offensive threat (yet for some reason was also incapable of helping Clichy defend rampaging Sturridge), Nasri still couldn’t get a crack at impacting the game. While we’re on the subject of Arsenal transferees, Gael Clichy showed us in that game at Stamford Bridge why Arsenal were so willing to part ways with the speedy left back. He may have found his confidence after joining the sky blues, but his ability to singlehandedly blow an important game seems to have just been slumbering, and the confidence-sapping beast has just woken up for the crucial winter spell. In any case, Nasri certainly looked dangerous against his former club when they met a few weeks back. Although he didn’t get on the scoresheet, he managed to be a constant midfield threat. He also performed well at the midweek against Stoke, making a formidable contribution to the side now that he’s had a couple starts in a row. 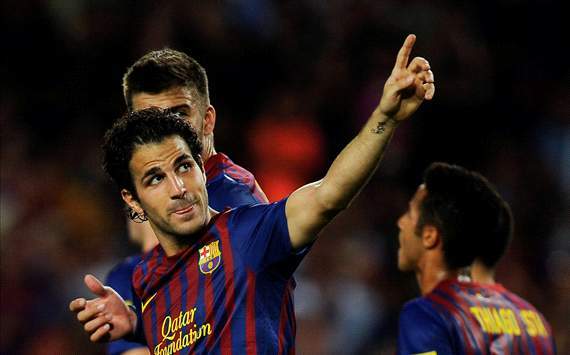 Recently, Fabregas was lively as well, as he scored in his berth in the FIFA Club World Cup…another trophy early in his Barca career to go along with both the UEFA Super Cup and Spanish Super Cup trophies. Nasri has yet to win any trophies with Manchester City yet, but they are currently in the running for the Premier League title, the Europa League title, and the Carling Cup, although crashing out of the FA Cup arguably at the hands of referee Chris Foley. Nasri was in and out of that game, but hardly at his fault, the team playing a man down. Nasri’s season goal tally is three with seven assists in 23 games while Fabregas has notched 13 goals and eleven assists in 22 games in all competitions. It would appear that at this stage in their seasons, both players have made a smart career move. As Fabregas collects trophy after trophy and Nasri jumps along with his new Etihad home to the top of the table. Both Theo Walcott and Yossi Benayoun have spoken out about the togetherness of the Arsenal squad sans Nasri and Fabregas, Walcott declaring that the, “we are a bit more of a team, we work harder when we haven’t got the ball. When you lose two top players everyone needs to come together.” Let’s watch and see if the magnificent Van Persie can lead his gunners back to glory and give Nasri’s new team a run for its money.